In this case our design was inspired by the famous Moebius strip. 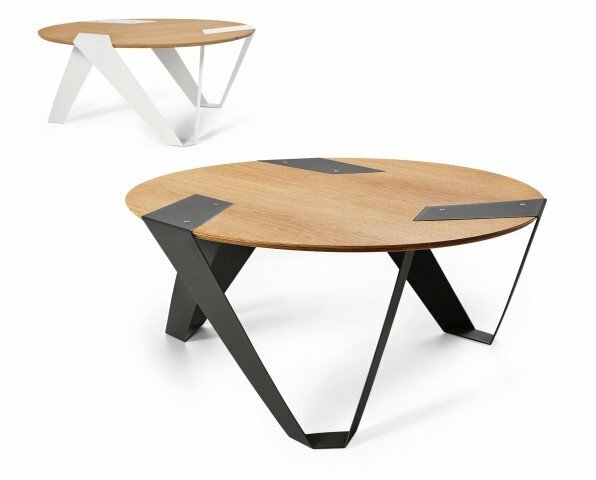 Please welcome MOBIUSH – a classy mix of a coffee table, elegance and infinity. We wanted to create a form that would trick the eyes, yet appear trustwothy. We took three aluminium legs, bent them into most finesse patterns then plaited them into a simple tabletop, as if they were a ribbon. We’ve invented a piece that is both light and stable and can magically change its shape, depending on ones point of view. MOBIUSH is a pleasant way to add a pinch of geometric madness into your morning coffee.